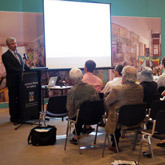 The University of Western Australia Cultural Precinct hosts a plethora of talks and seminars through the various cultural entities or in partnership with research centres on campus. This series of talks have been developed by the UWA Cultural Precinct to bring current issues across the Arts before a wider audience and to the forefront of discussion and debate. The Lawrence Wilson Art Gallery, Berndt Museum and the Cruthers Collection of Women's Art present engaging talks and conversations with artists and curators exhibiting at the various gallery spaces. 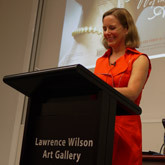 Image: Curator Felicity Johnston at public program event. The Institute of Advanced Studies at UWA enhances the research profile of the University through raising awareness of and encouraging debate on contemporary issues. The IAS runs an selection of talks, conversations, public lectures and seminars by prominent local, national and international speakers on a variety of topics including arts and culture. Institute of Advanced Studies upcoming talks. 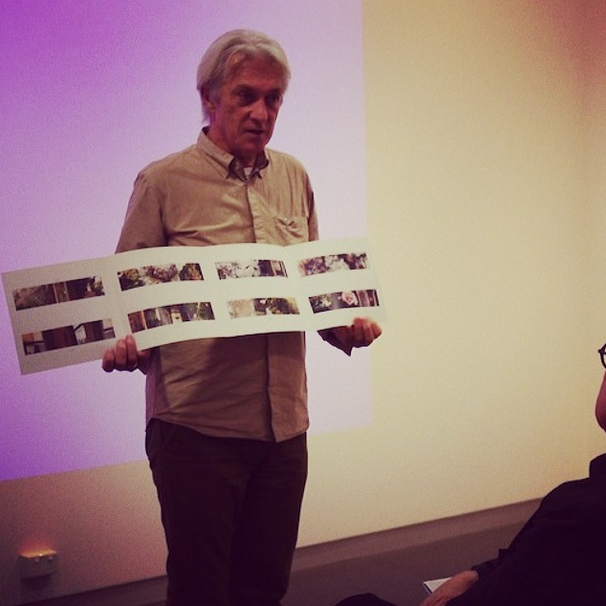 The Salek Minc Lecture Series is a series of occasional lectures given by significant contributors to the visual arts, named after prominent doctor, collector and supporter of visual arts, Salek Minc. Image: Author Katrina Strickland presenting at a public talk on her book titled "Affairs of the Art".